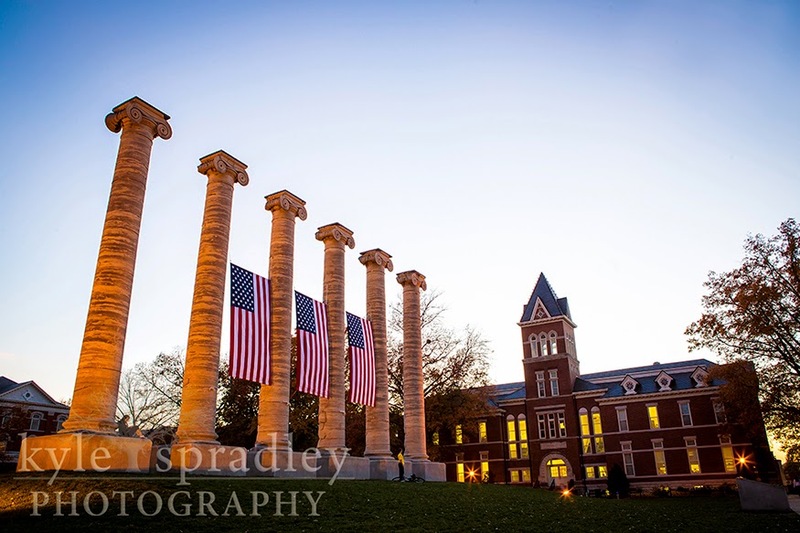 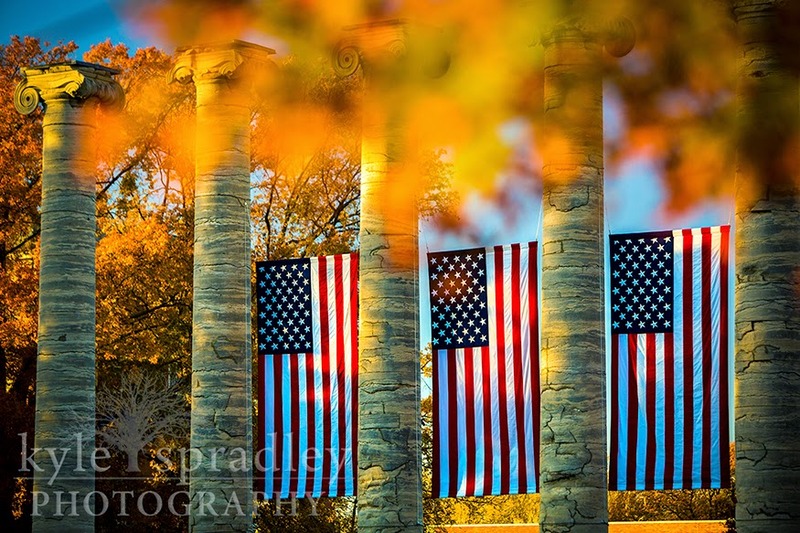 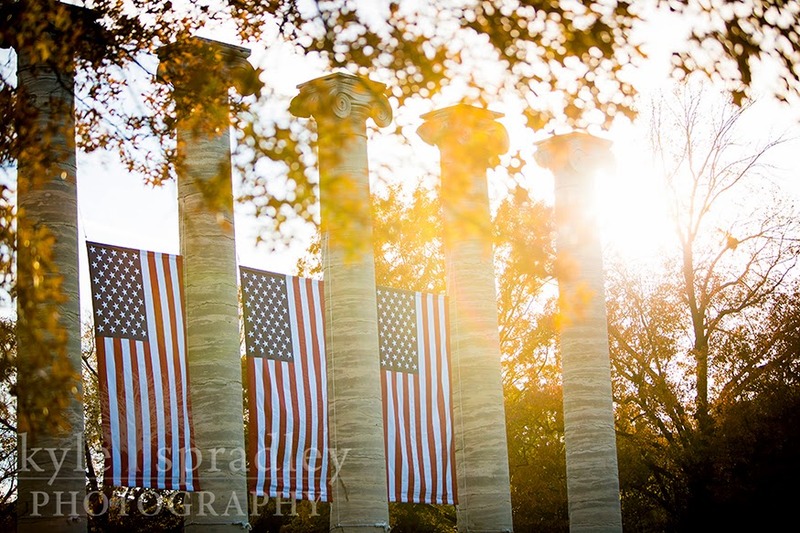 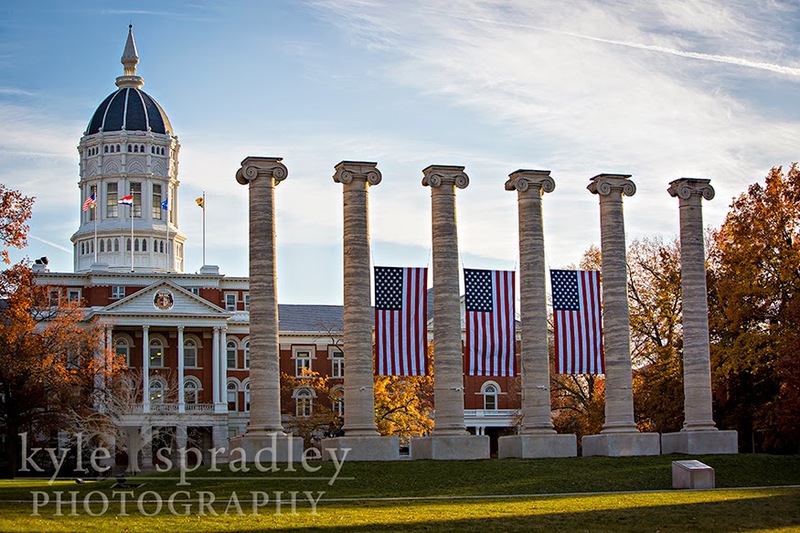 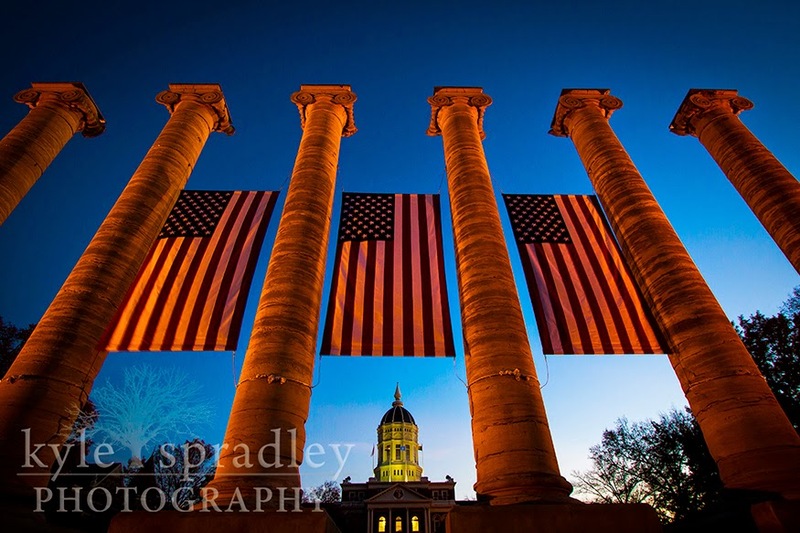 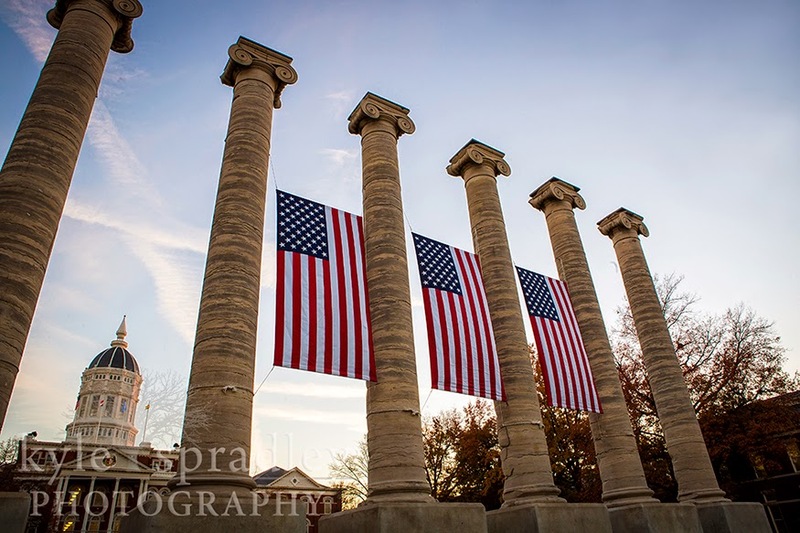 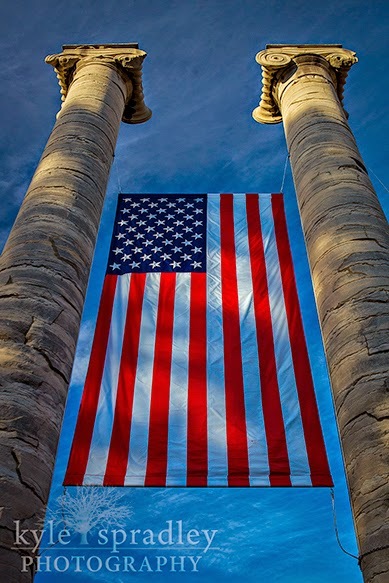 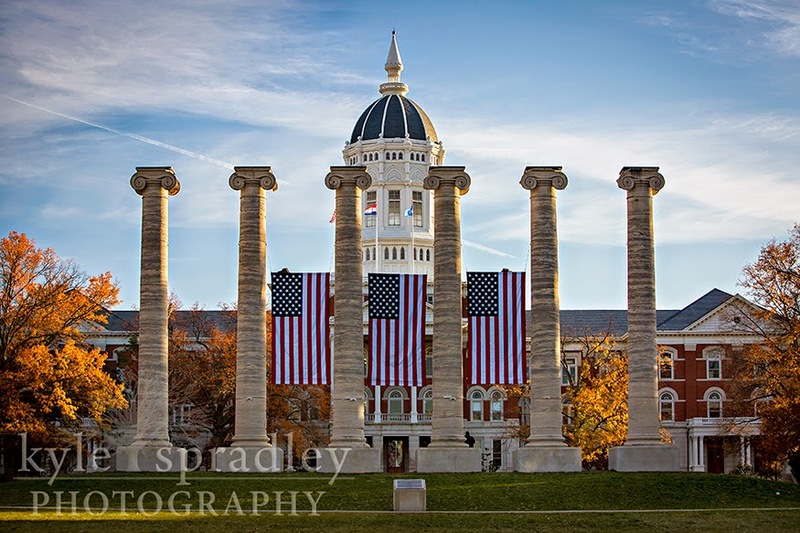 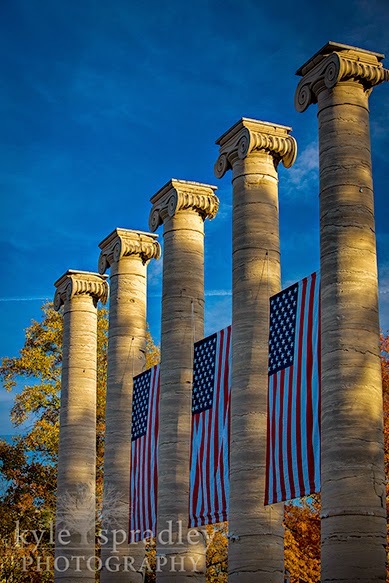 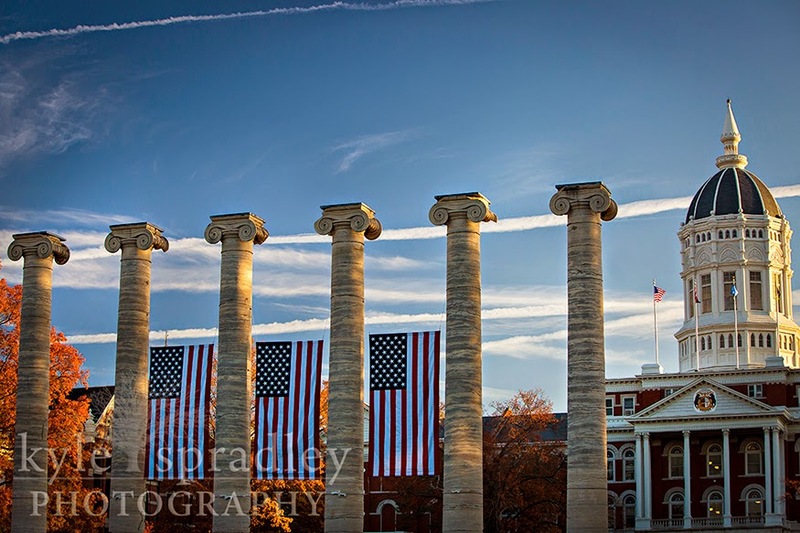 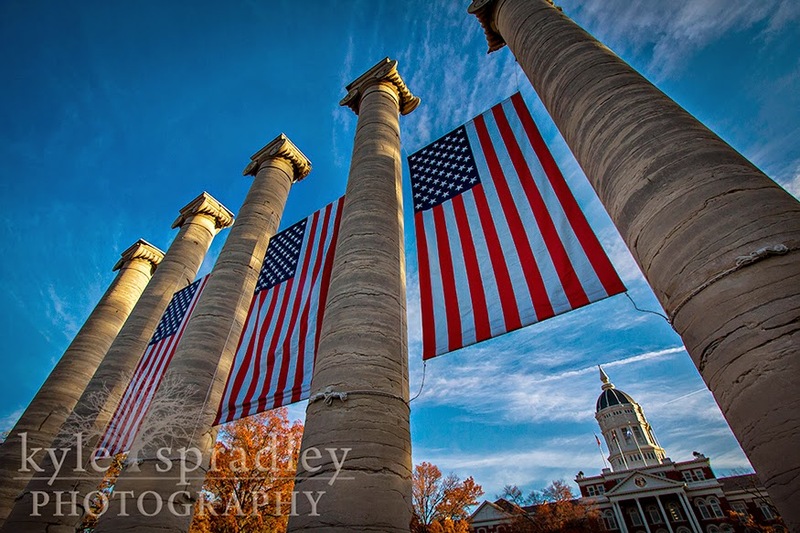 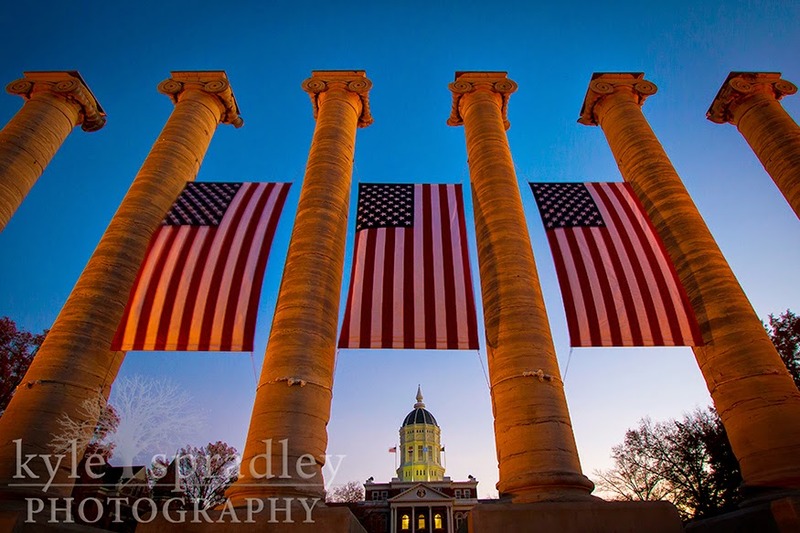 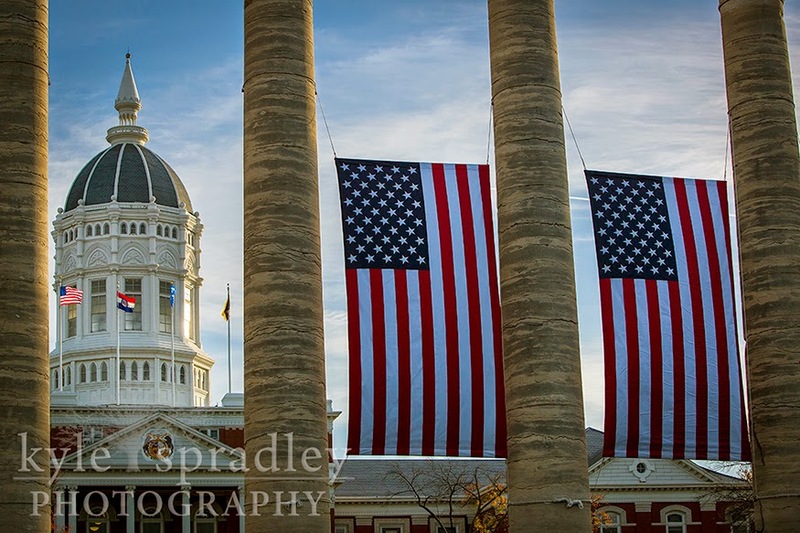 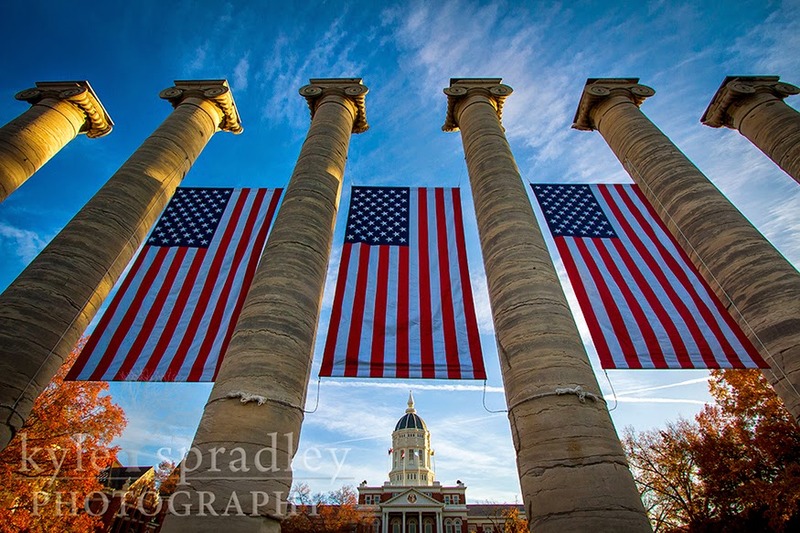 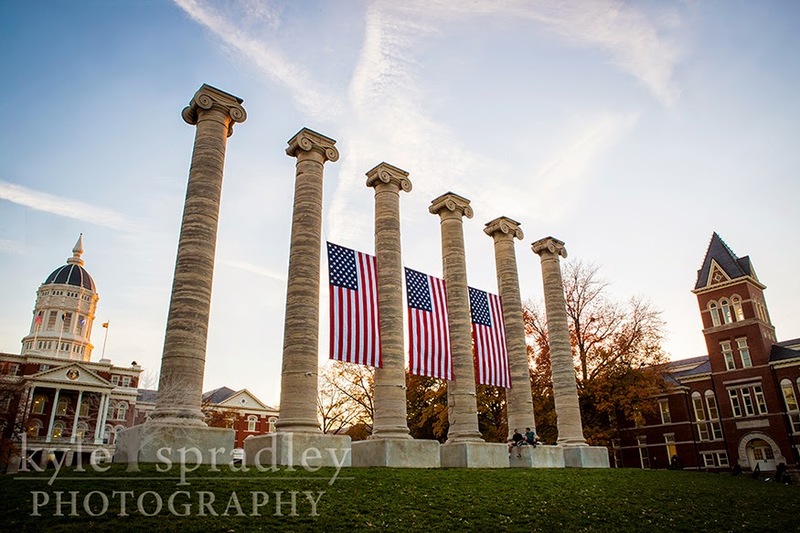 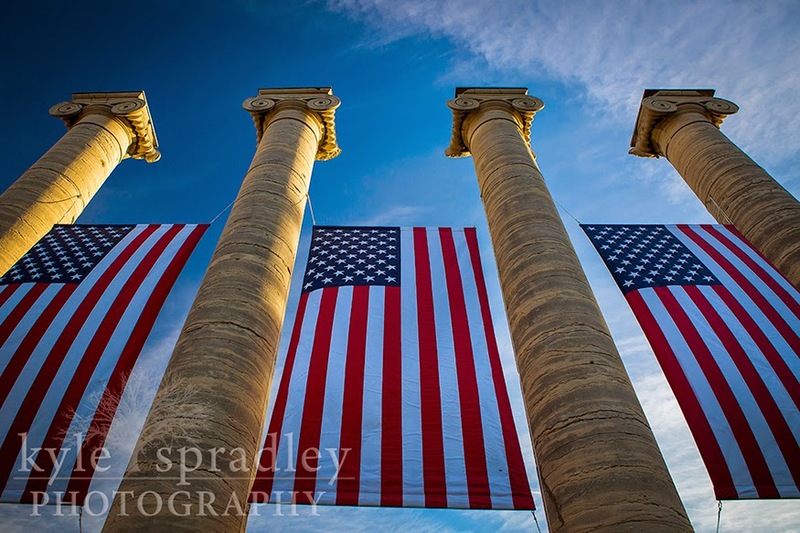 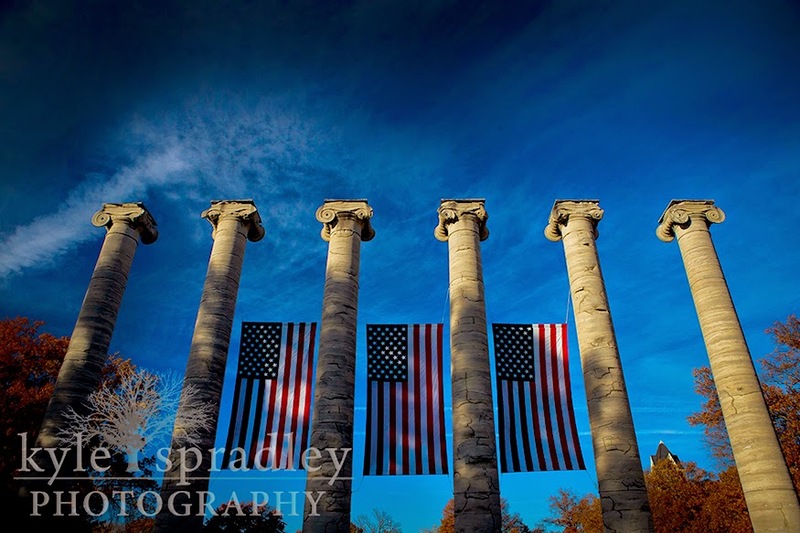 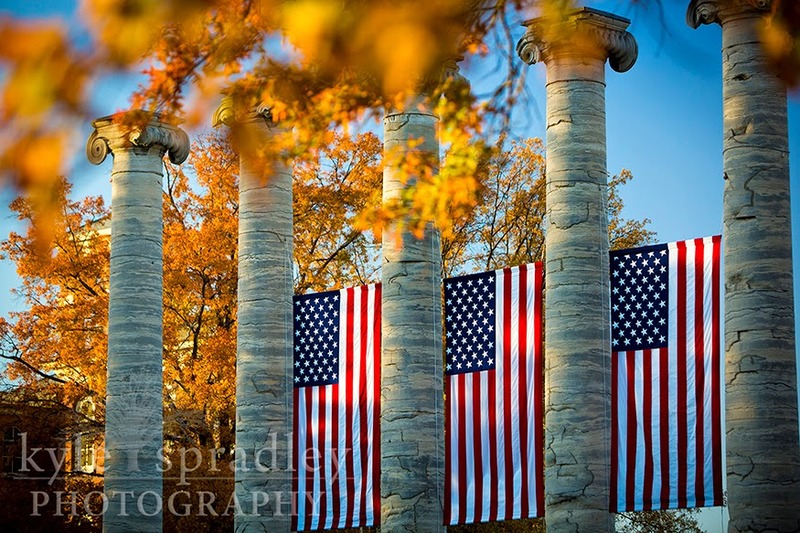 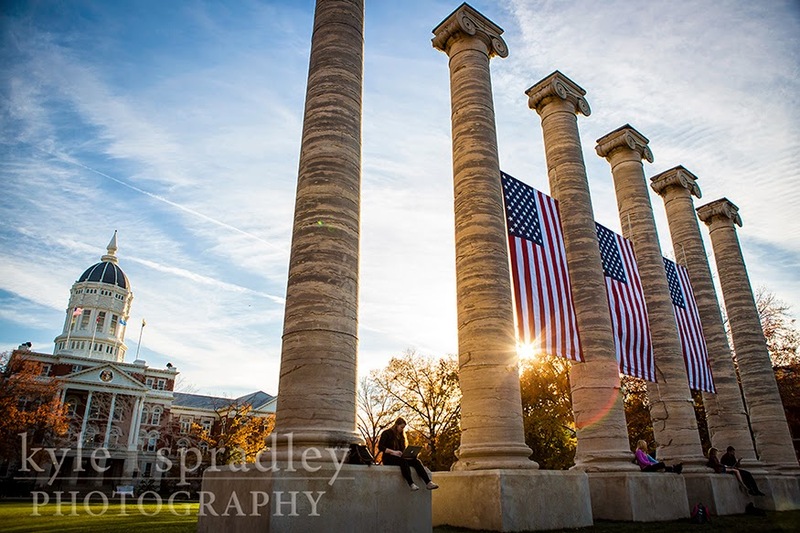 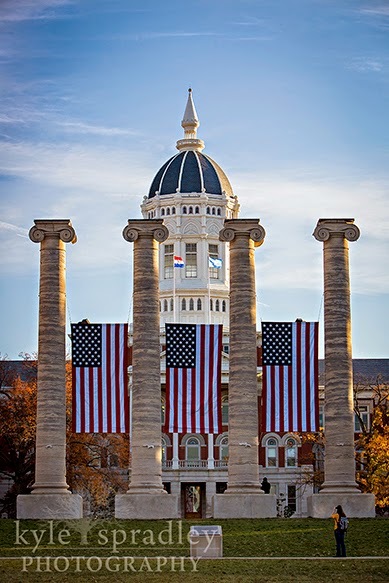 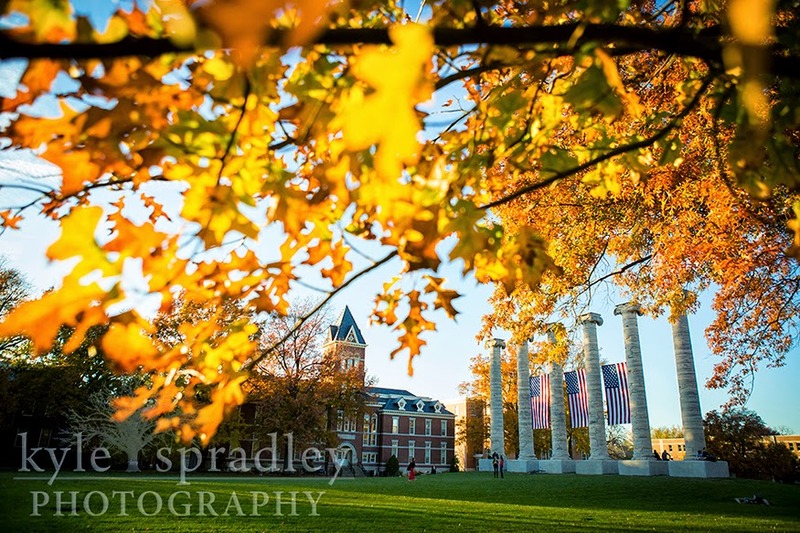 The Columns on the Mizzou Campus were decorated with American Flags in honor of Veteran's Day this week. 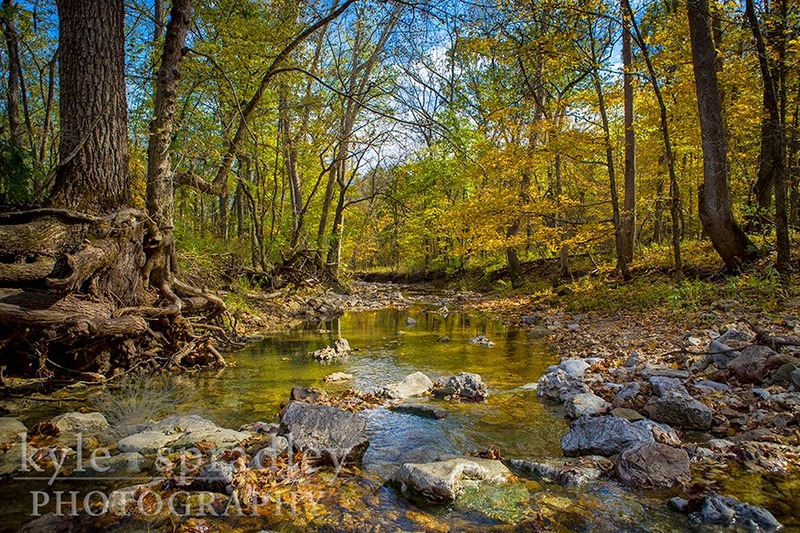 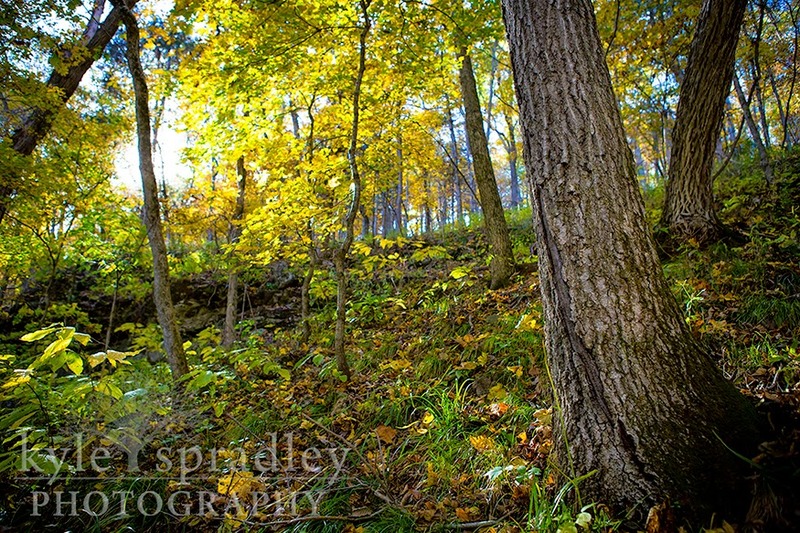 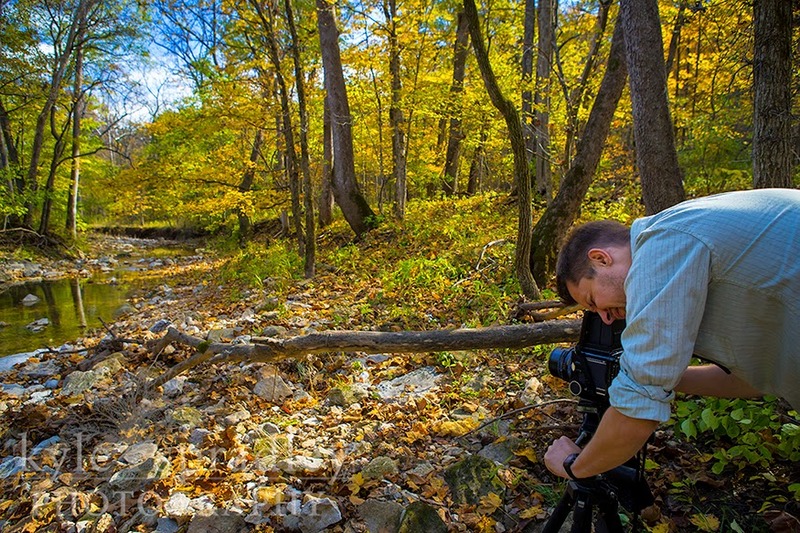 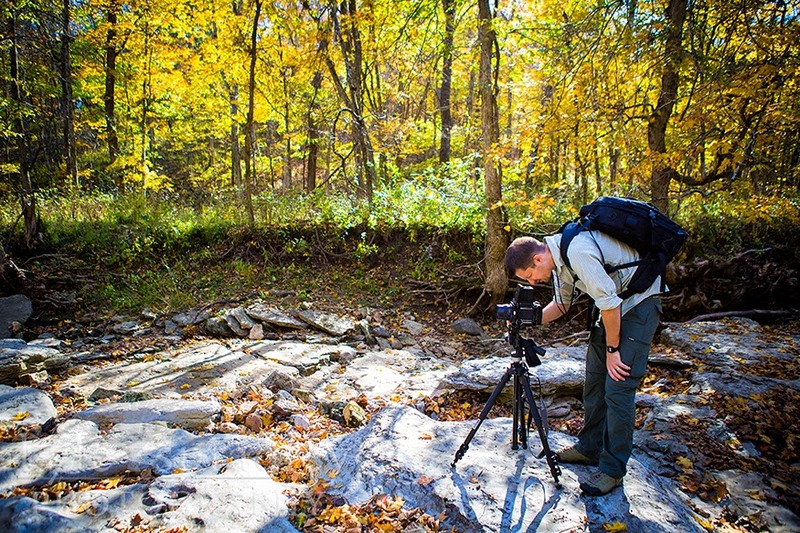 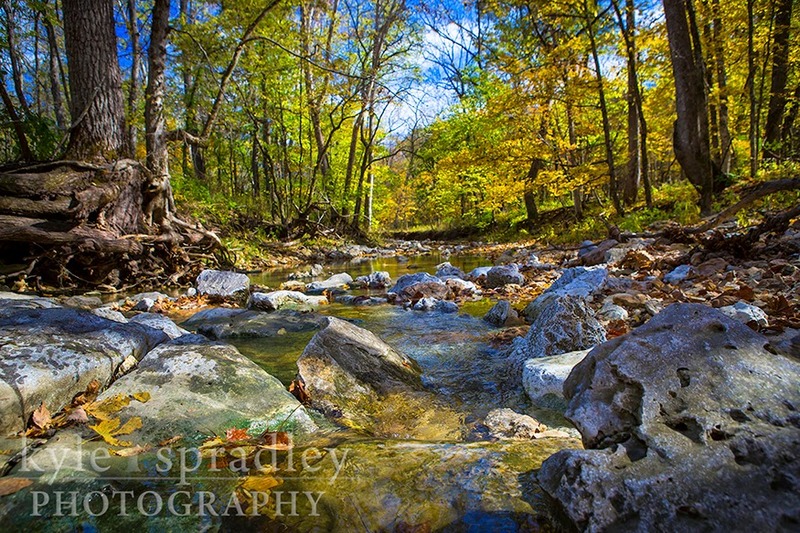 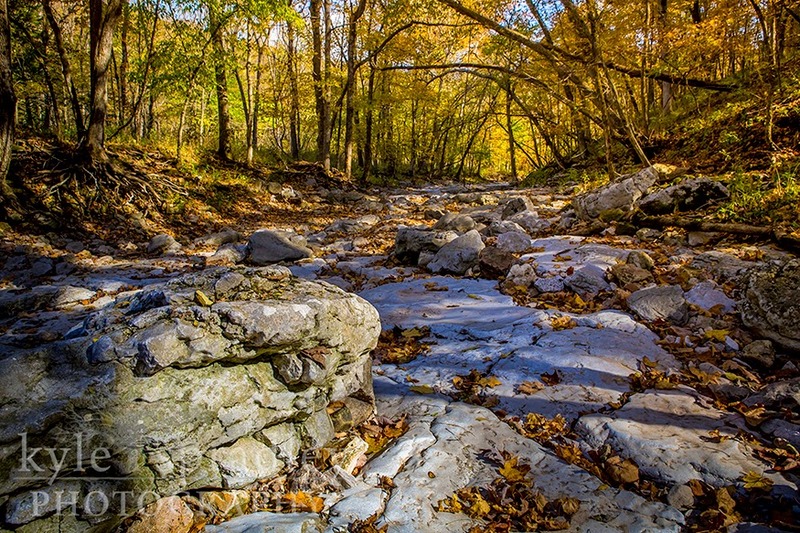 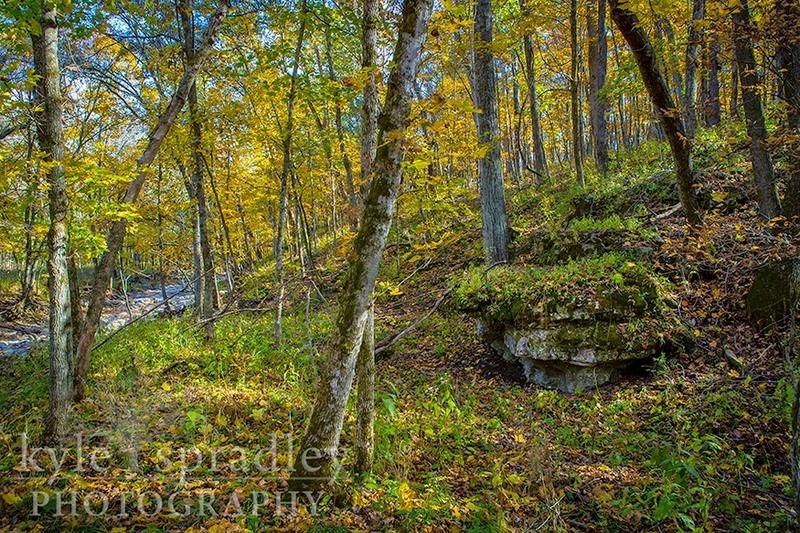 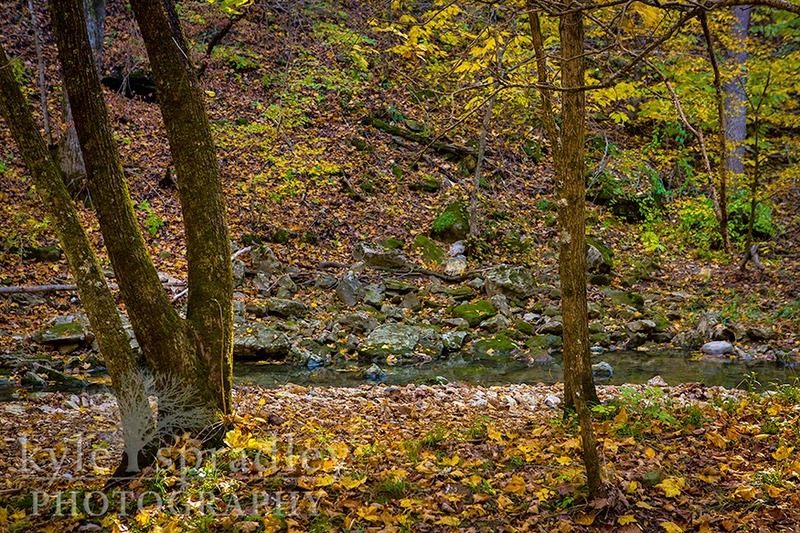 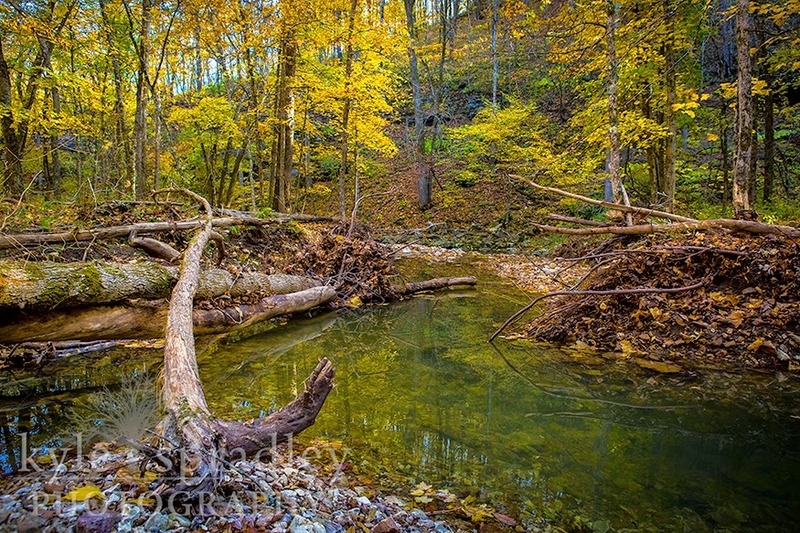 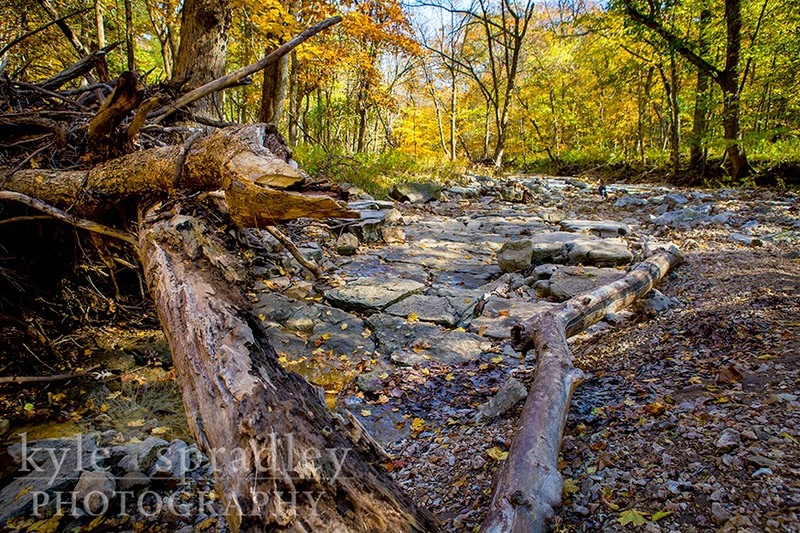 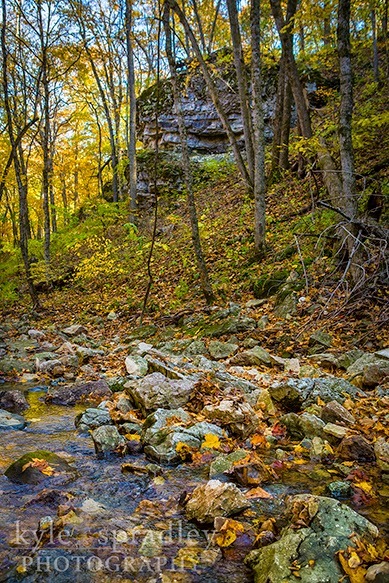 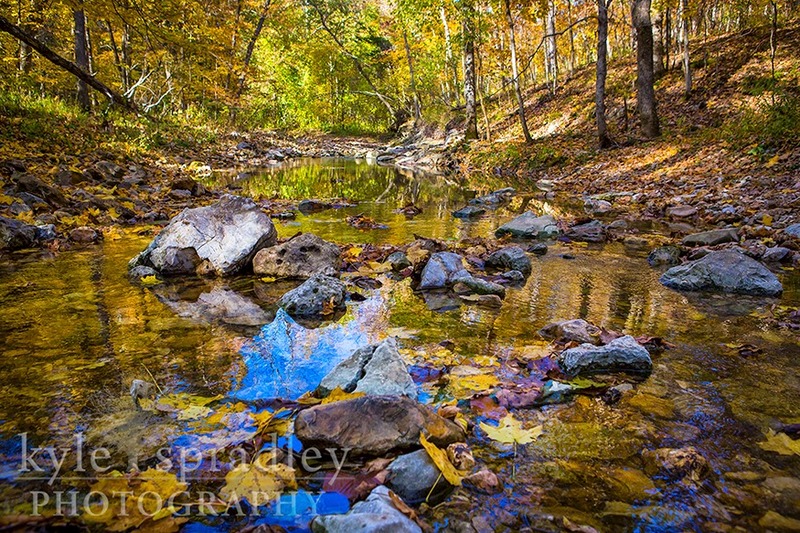 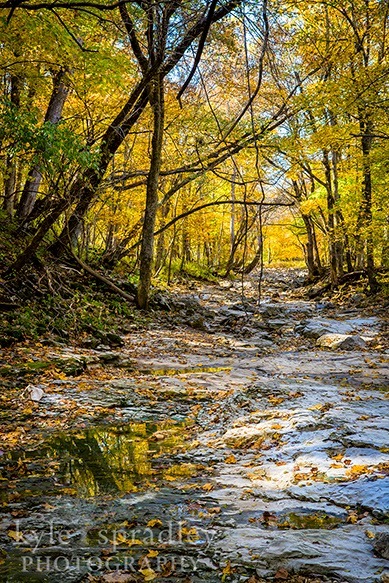 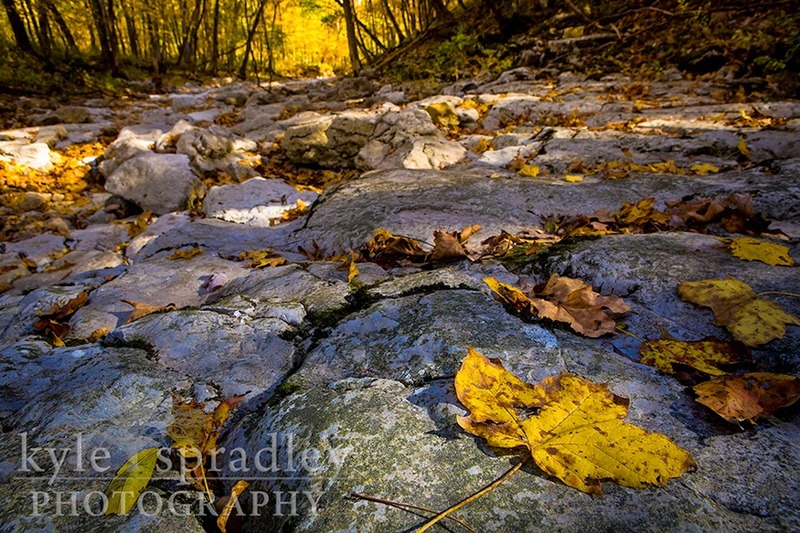 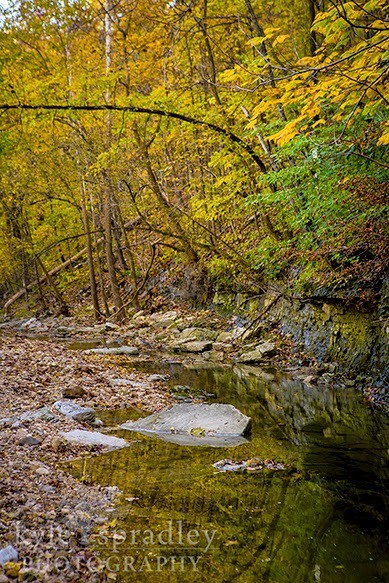 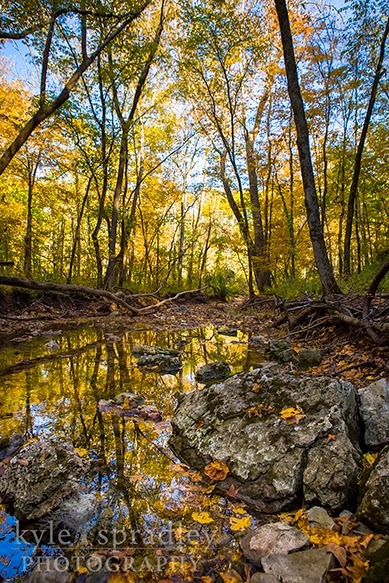 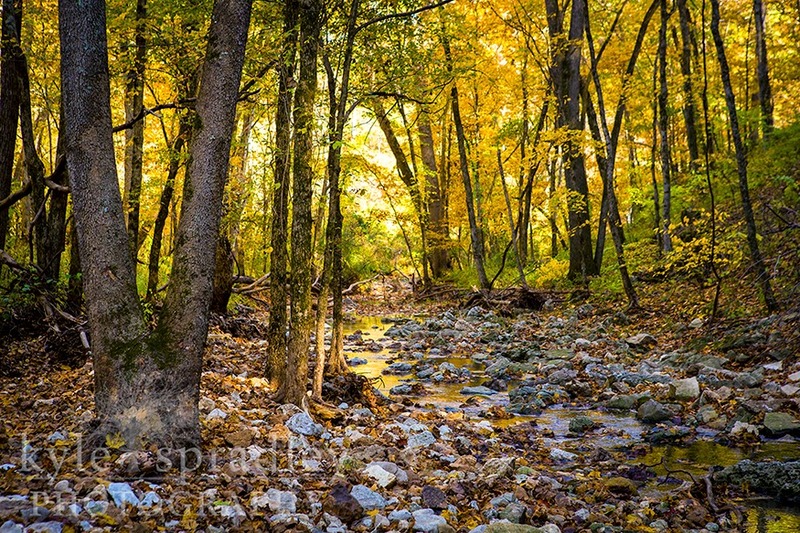 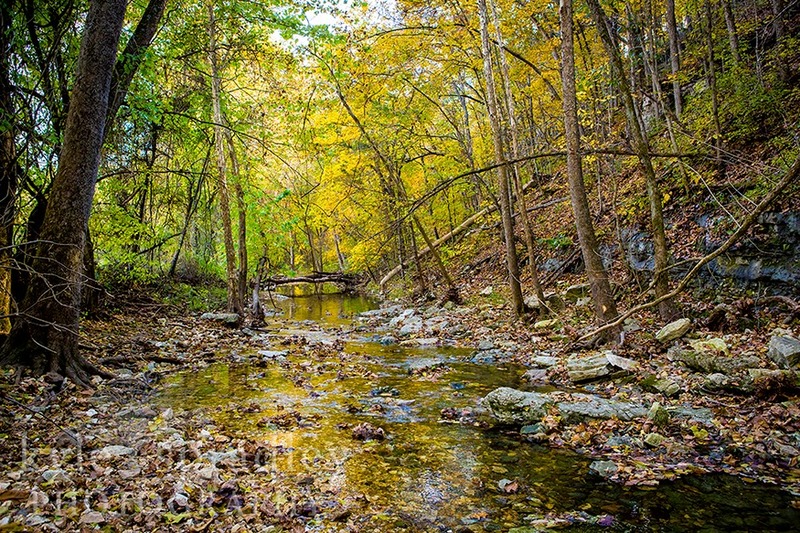 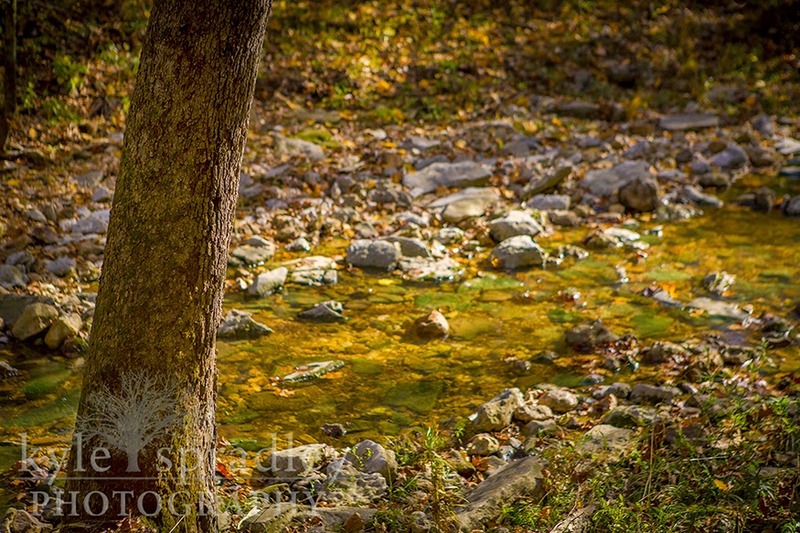 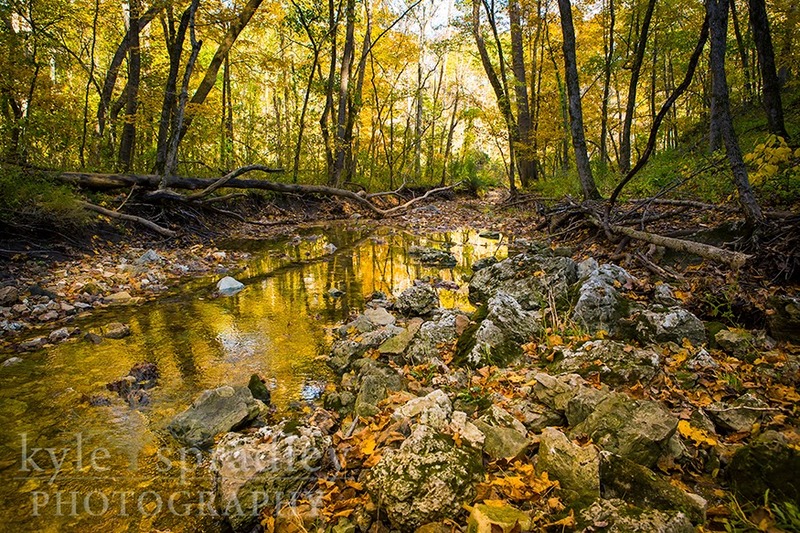 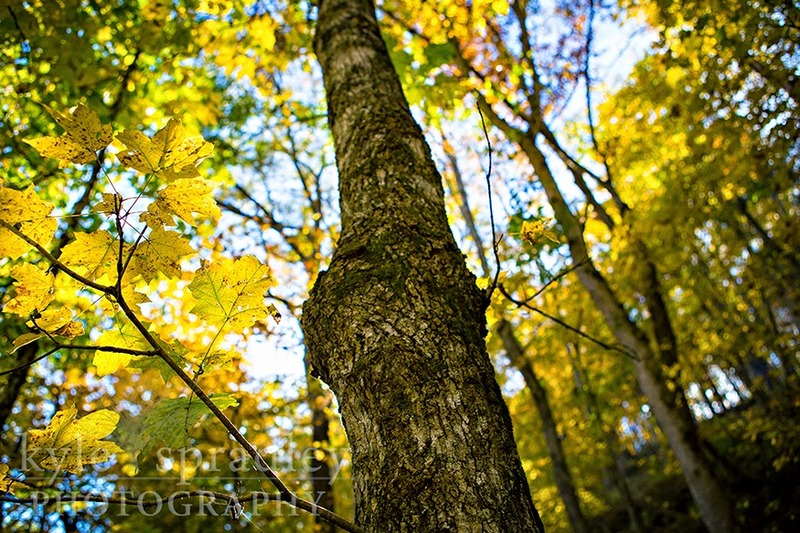 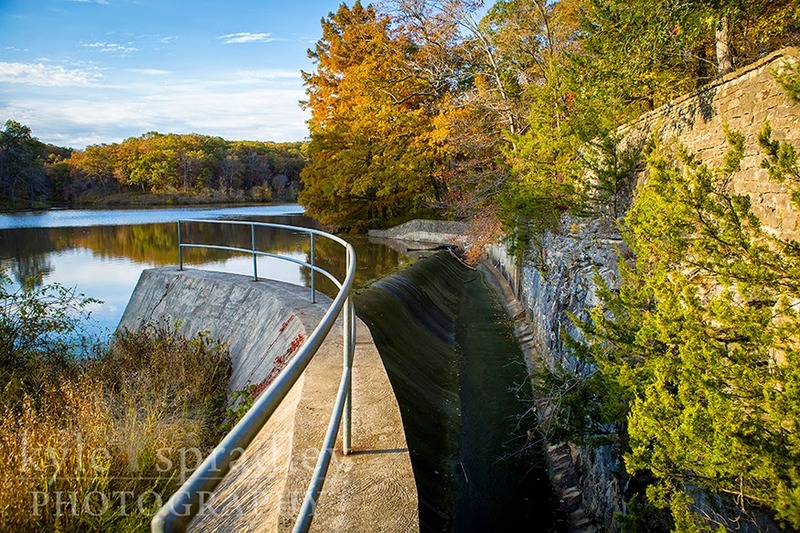 Took a hike at about peak fall colors with a fellow photographer friend, Catalin. 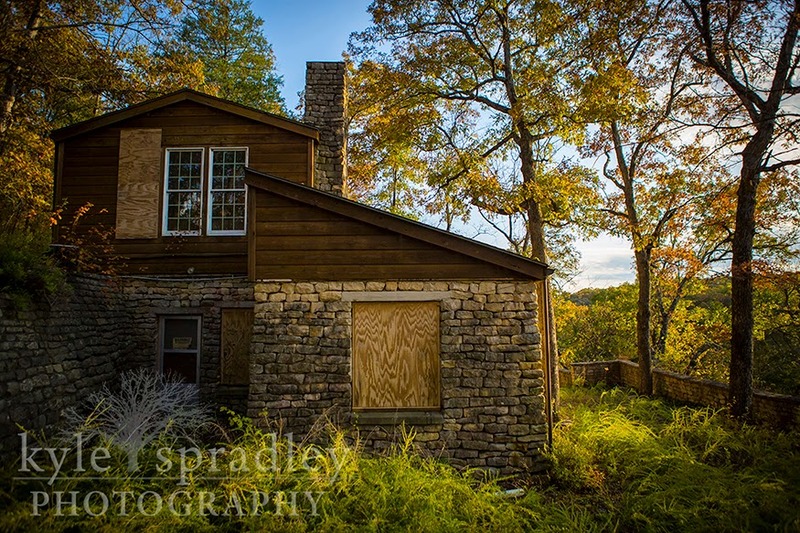 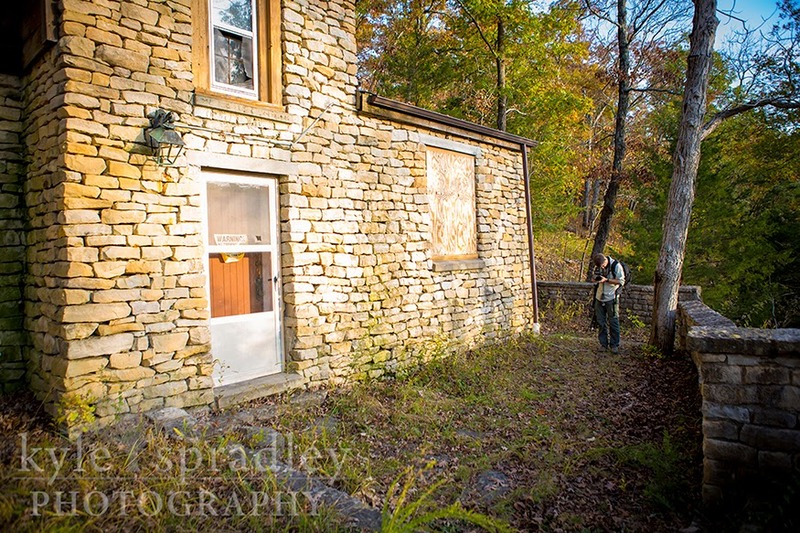 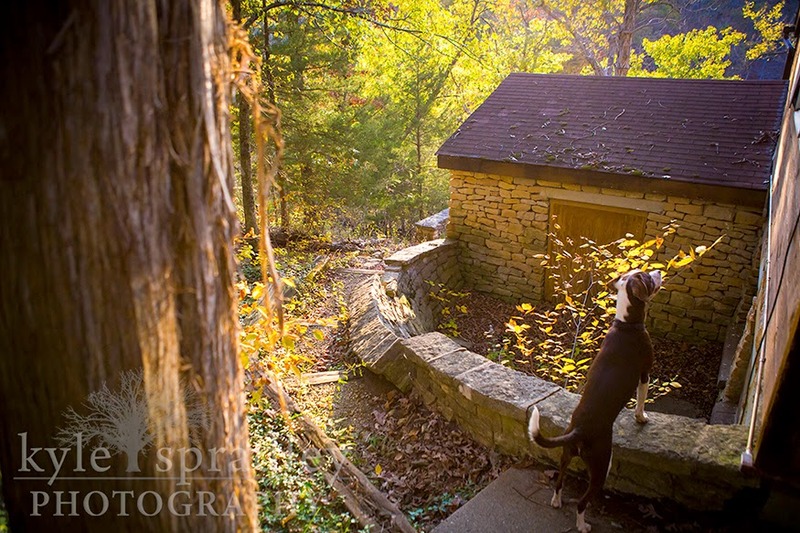 We trekked through Baskett Wildlife Research and Education Center near Ashland, Missouri and then explored the old cabin at Ashland Lake (operated by the Missouri Department of Conservation). 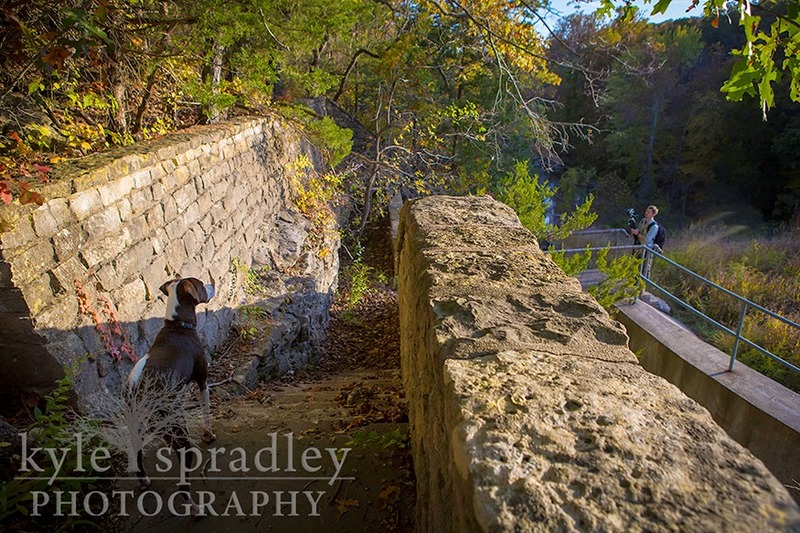 It was the perfect afternoon hike to do in the fall. 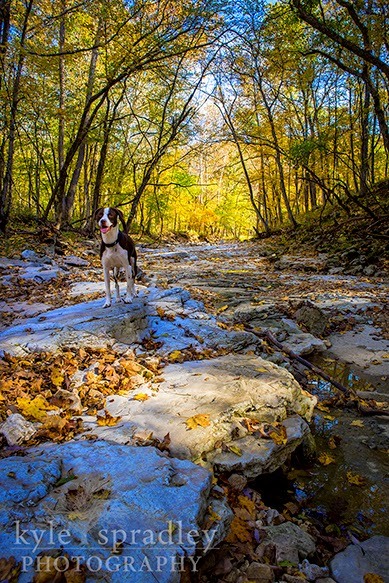 Jax, my energetic pointer, enjoyed it as well. 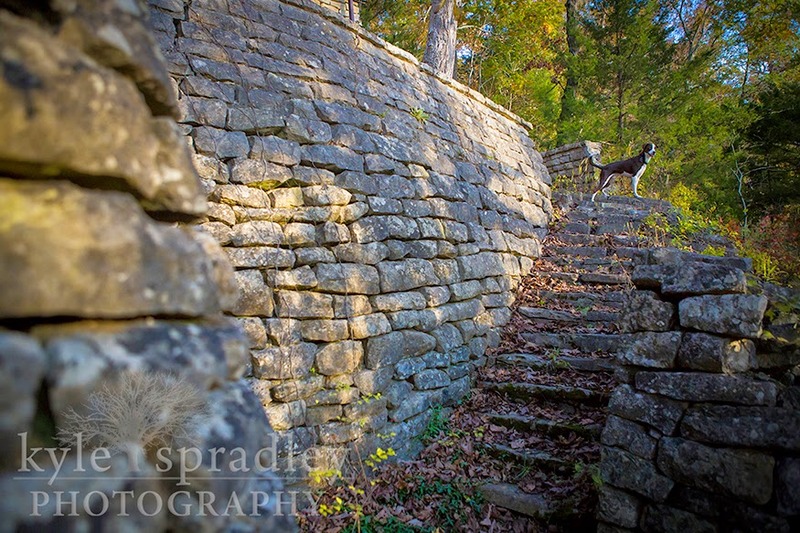 He's a great photobomber. 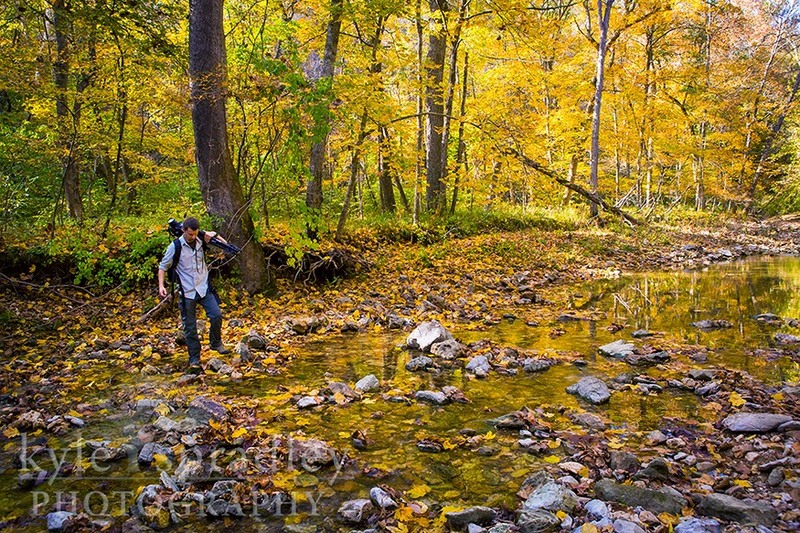 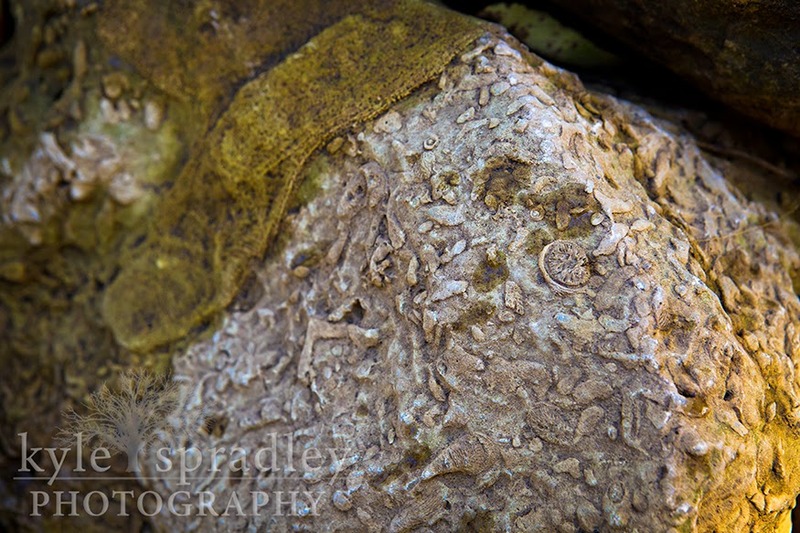 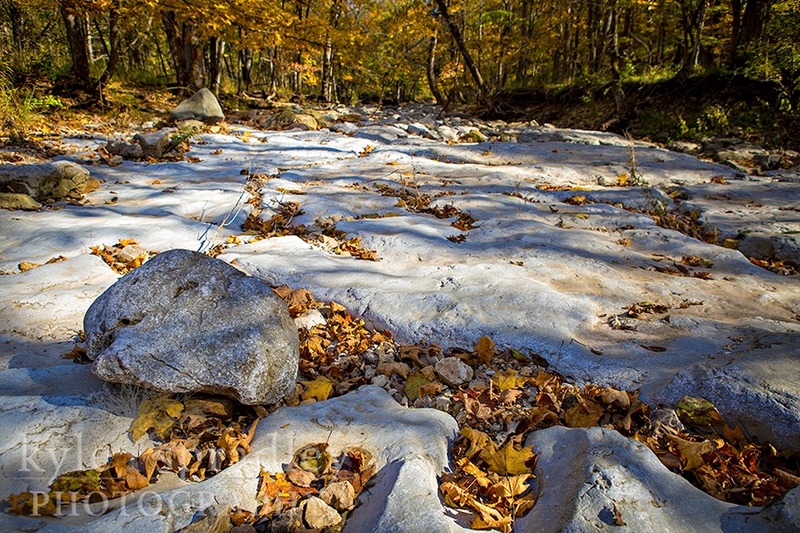 We all enjoyed exploring Connor Creek, the lake, fossils and scenic forests.